“When you’ve done an arts degree, you’re lucky to be exposed to so much cultural, social and art history. And people have always been interested in telling stories – or making a statement – through their hair,” says Rachael Gibson, the woman behind the visually enticing @thehairhistorian. From the bizarre horn-like cornettes that were all the rage in the 1400s to 60s bouffants captured by famed street photographer Joel Meyerowitz, it’s clear that she’s right. Why else would women adorn themselves with a garden’s worth of flowers and intricately place red bows in their locks if not to garner some sort of attention? 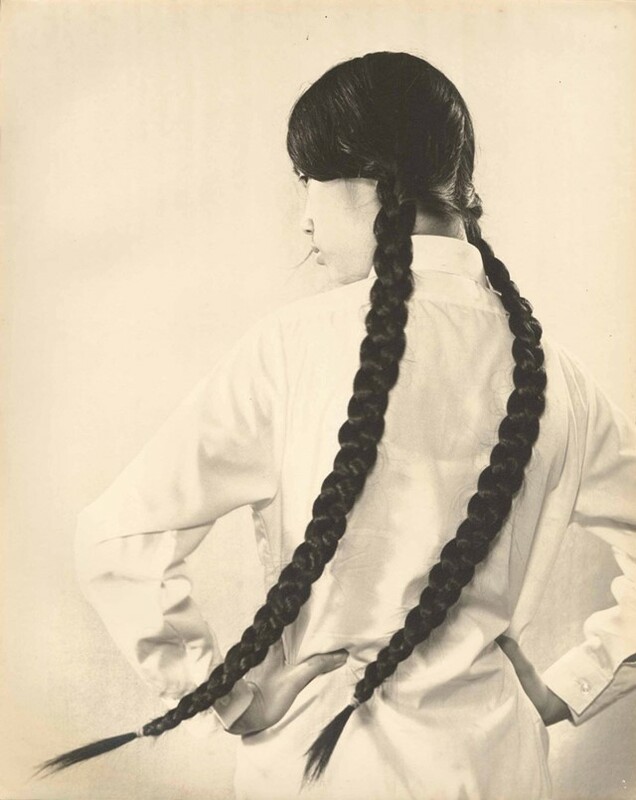 Over the past year, Gibson has scoured artistic archives – both IRL and online – to find the most alluring portraits of hair throughout history. A glimpse over her findings reveals that the hair on our heads has been the focus of art throughout the ages, with women painted side-on to show off their elaborate ’dos or depicted with fiery red strands over one eye as if to display their promiscuous side. As well as an appreciation for old-school creative minds such as Man Ray and Pablo Picasso, @thehairhistorian has worked alongside some of today’s greats – “I developed two courses for online education platform, Mastered, with hairstylists Sam McKnight and Guido Palau” – and continues to mentor hair students. Pre-Raphaelite artworks remain her treasured finds “because I see myself in them – mad, big, long red hair. That said, my favourites tend to be the really odd ones like the cornette hairstyle in the Arnolfini portrait, this Picasso high ponytail and a good Apollo knot. They all feel like looks that could work today. Even the cornettes had a mini appearance at Moschino last month!